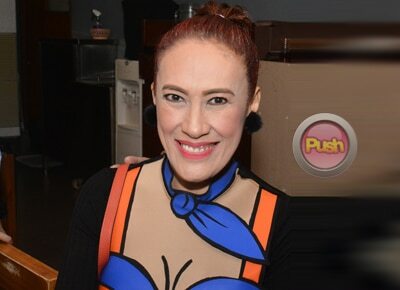 Ai-Ai delas Alas claims that she can only do so much for Jiro Manio. Ai-Ai delas Alas claimed that Jiro Manio’s family asked her to “get him released” from the rehabilitation facility. The comedienne, in an interview with PEP, disclosed that Jiro’s relatives wanted him out of the rehabilitation center by asking Ai-Ai to fill out a waiver. “Anak ang turing ko kay Jiro, pero may sarili siyang pamilya," she began. Ai-Ai admitted that she can only do so much for Jiro and his family. “So, if ever, kung anuman ang magiging desisyon nila, susundin ko na lang ang sinabi sa akin na magpapirma na lang ng waiver sa daddy niya, na sila na ang bahala kay Jiro. Pero sana magbago ang isip niya,” she added. Ai-Ai sort of “rescued” Jiro when he was spotted wandering around the airport last year. Since then Ai-Ai has taken care of his rehabilitation.